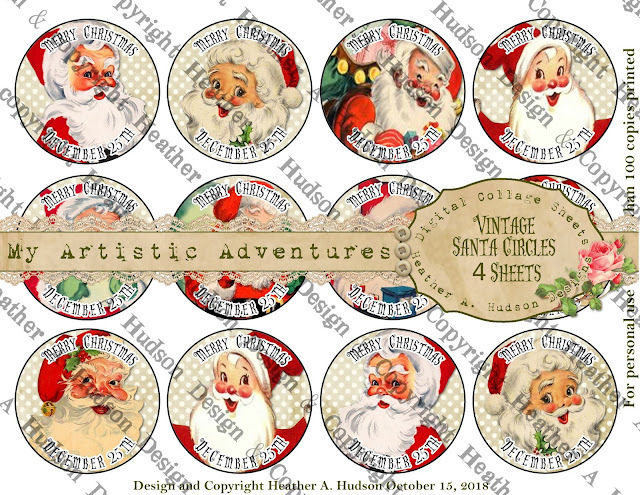 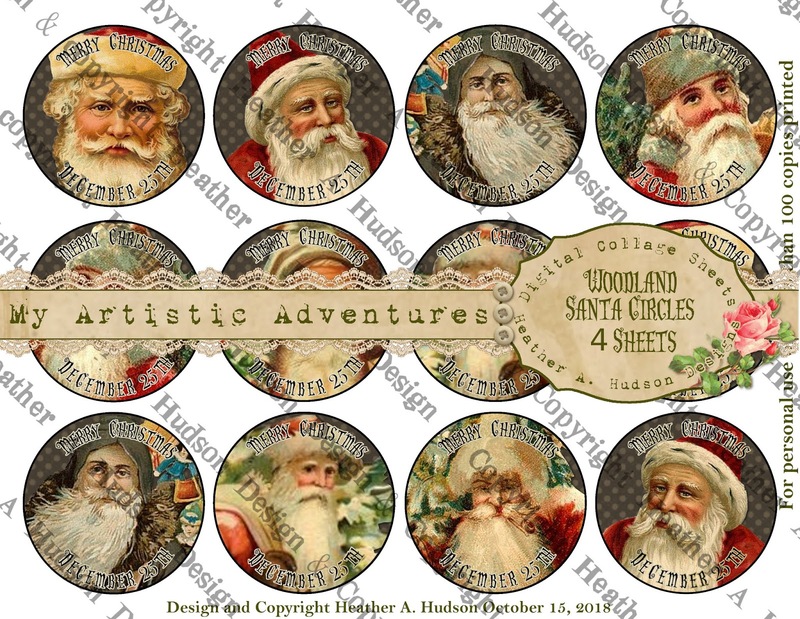 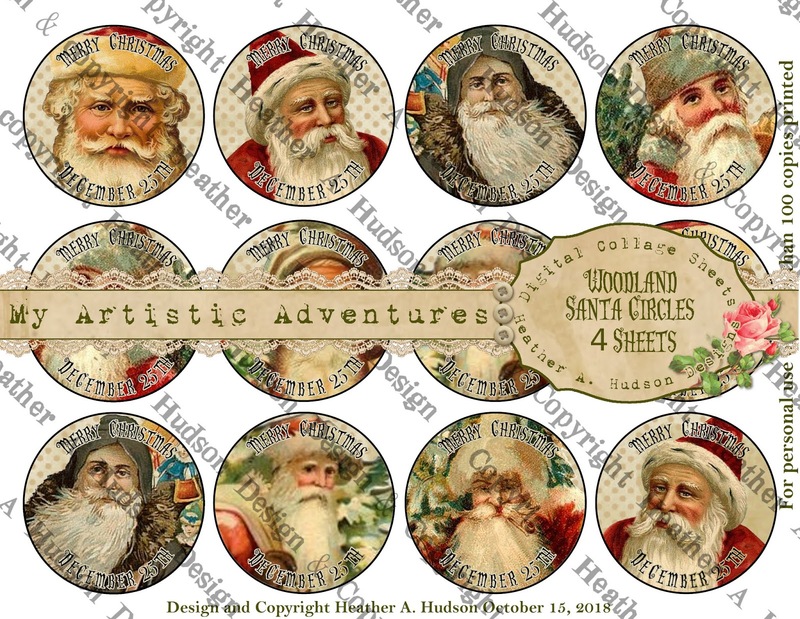 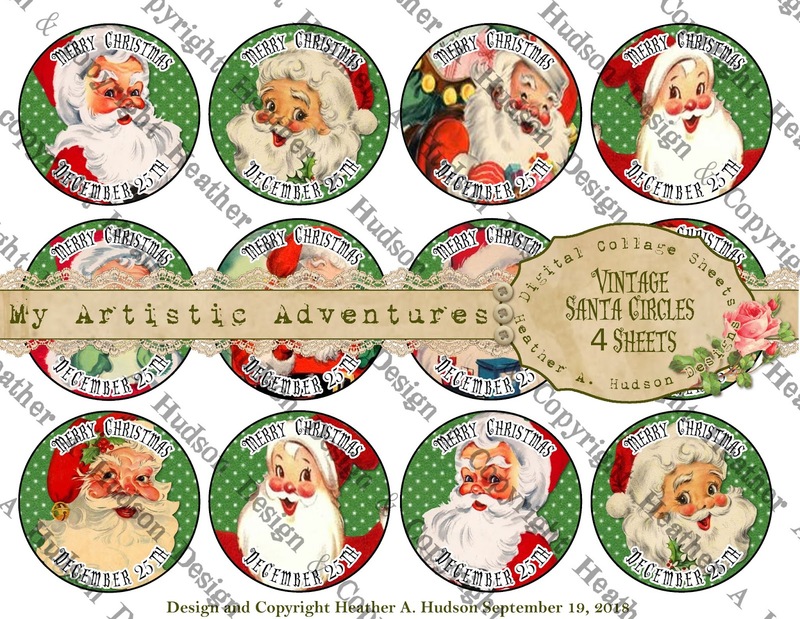 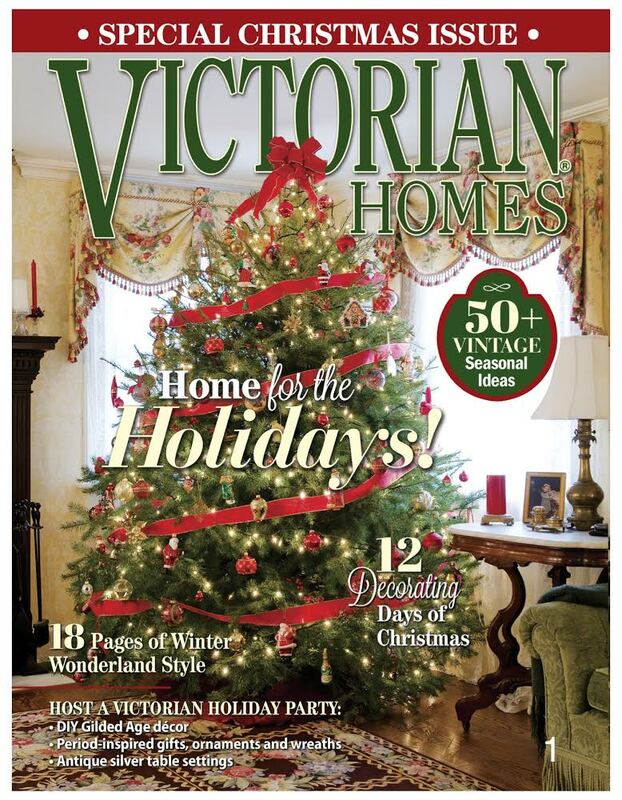 Victorian Old World Santa Digital Collage Sheets. There are 4 sizes with each set. You can find them in the Christmas Section of my Etsy Shop. 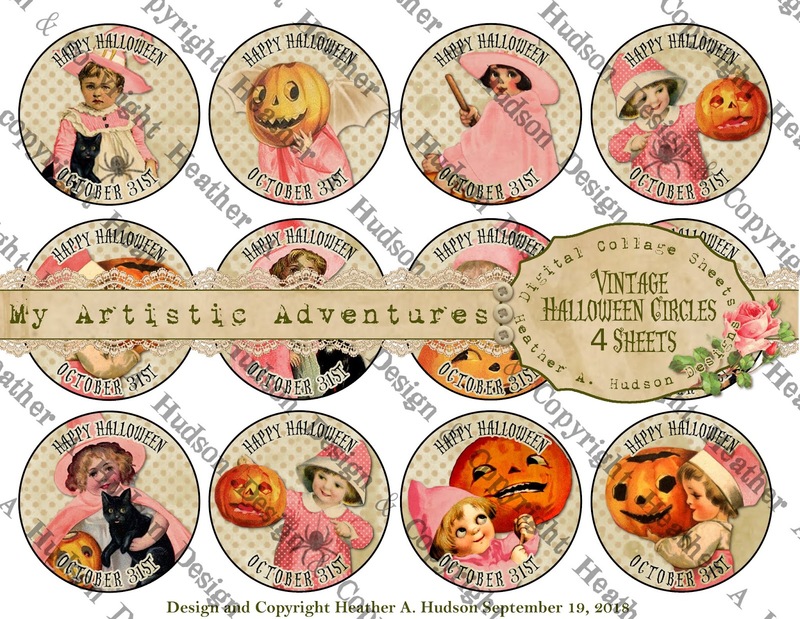 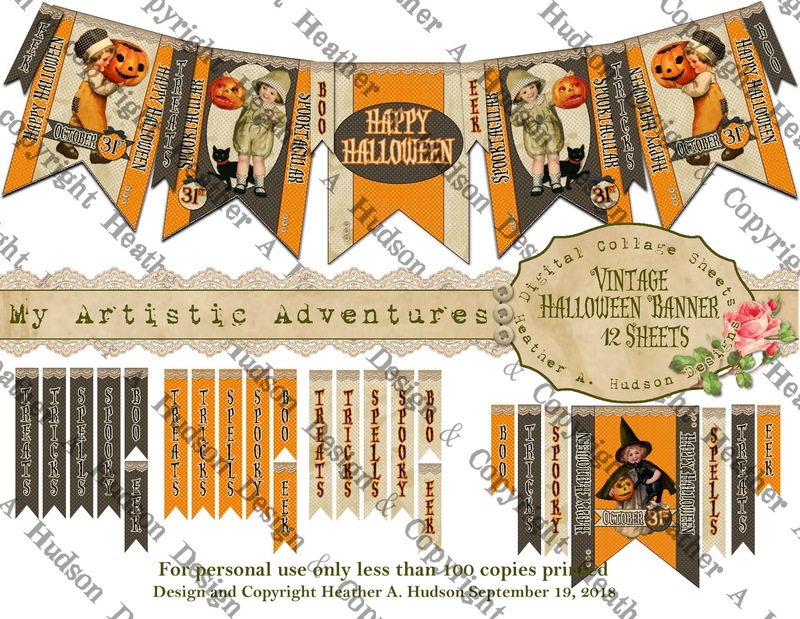 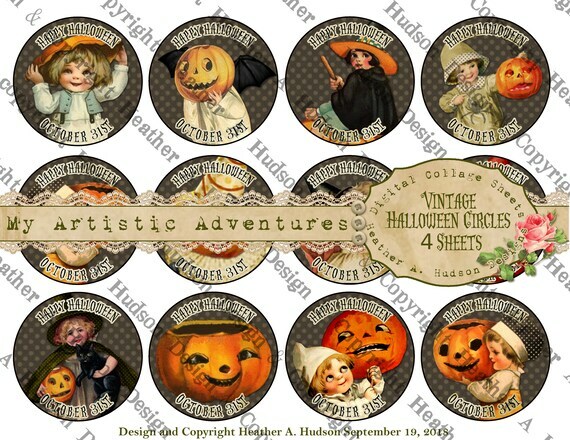 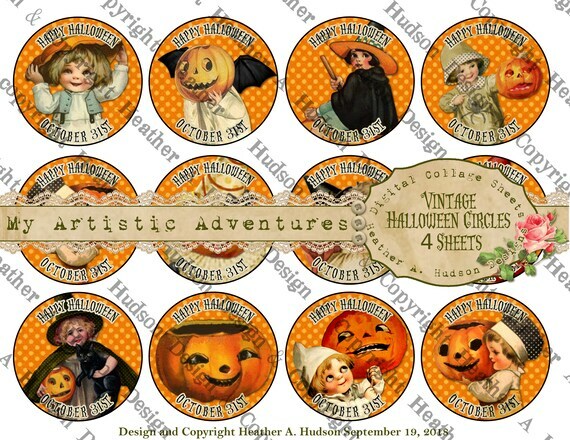 Halloween Banner 12 Sheet Set. You can find it in my Etsy Store here. 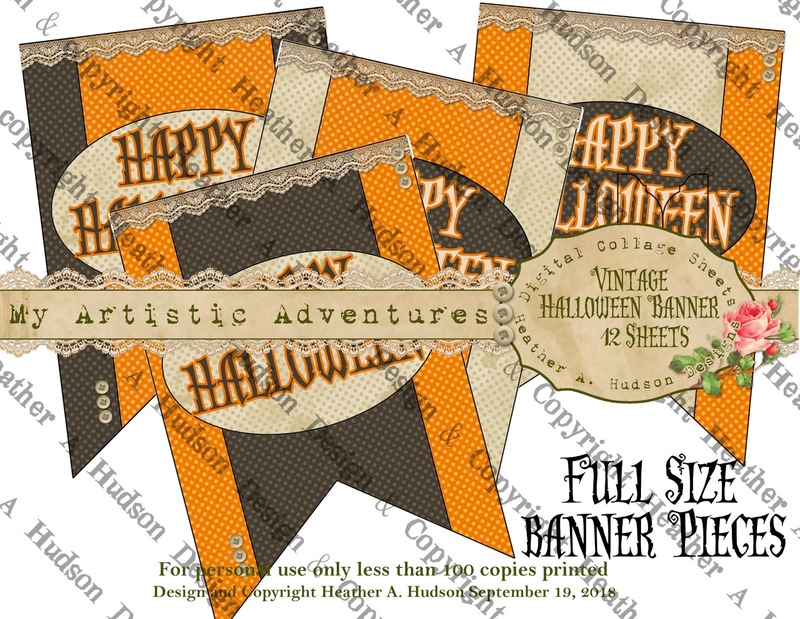 Each Banner Piece fits on an 8.5 by 11 inch piece of paper. There are 3 pages of Slim Sentiment Banners in Orange, Chocolate and Cream. You can see more of the sheets in my Etsy Shop. 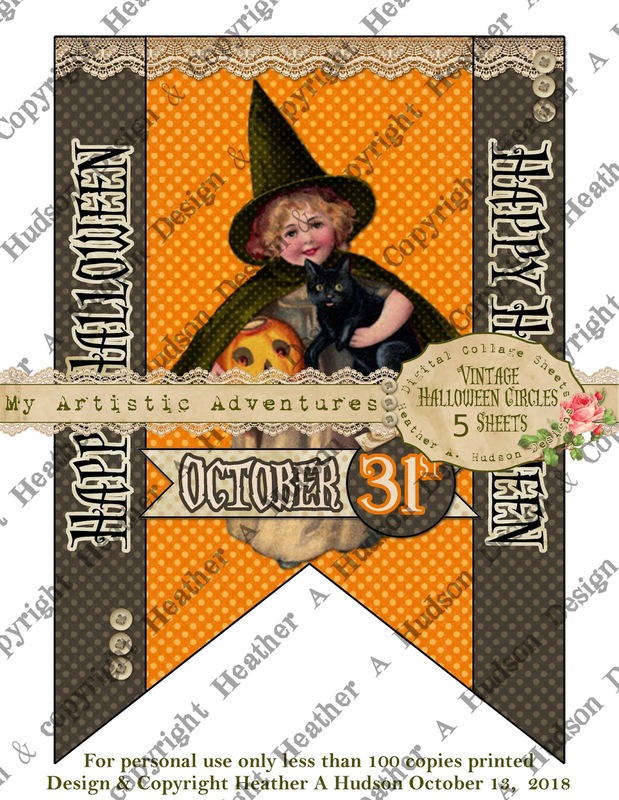 One of the Banner Pieces below. I had a little time to play and thought I would go ahead and do a round set of Shabby Pink Cottage Chic Halloween Circles. 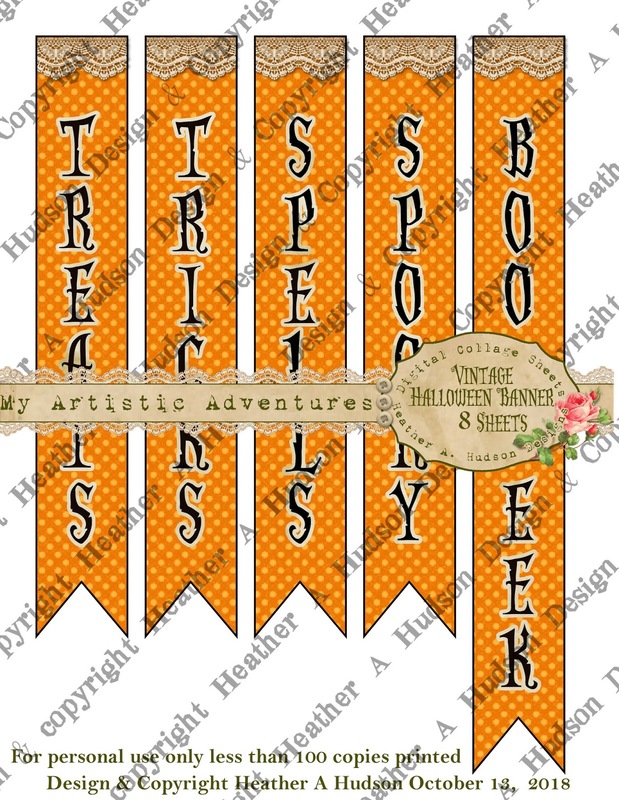 Feel free to visit my Etsy to see the rest of the set. 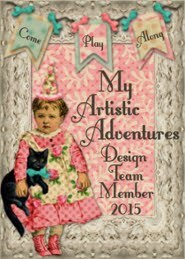 feel free to visit my etsy shop for more details.